Thanks very much for your answer but in France it's not easy to find frame like that. Thanks if you find other frames to say us if they have a catalogue. Very nice work, arrangement and presentation. The frame is really a top hit for the topic. Isabelle, I think that in France there are very nice frames, but if I find one original for indian elephants I tell you. Perhaps in England will be easier to find frames suited to this thematic. I bought the frame in a little shop of Madrid. 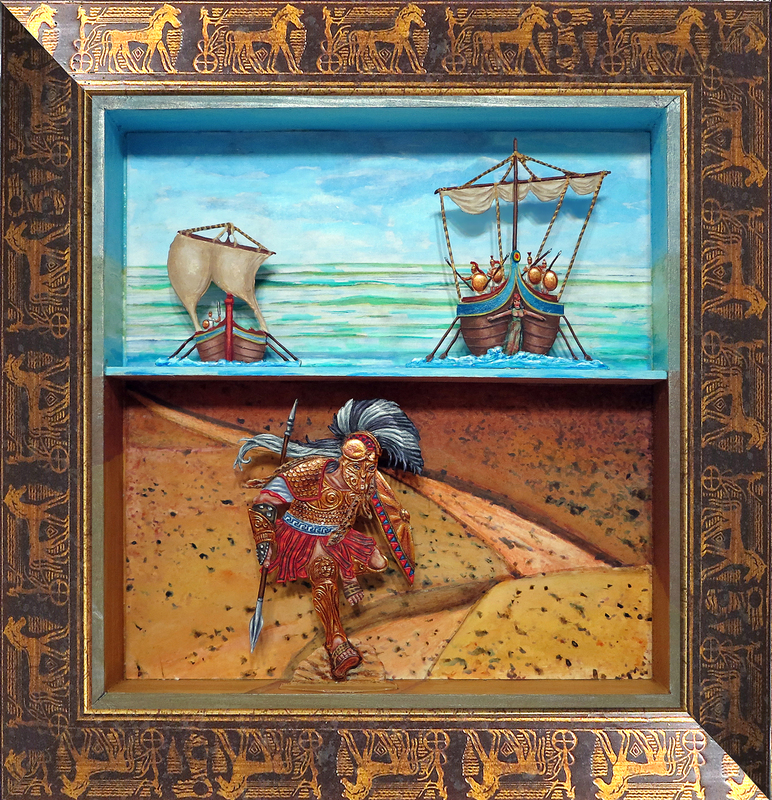 Time ago I saw this rare frame and I made a reserve of 6m for futures greeks dioramas. In Spain there were an importantant tradition on very good frames in many diferent stiles, always made them in good wood. This in natural is nicer than in the photo, made in wood with carvinngs fill with gold film. I paid for the frame 8€ including the glass. Unfortunatly this frame is now distacatalogued. The manufactures catalogue change very quickly every year. The chinese shops are making now too much harm competing with very low prices and also with very bad quality. But still remains very good traditional shops in Spain. Where have you found it ?